Home / Children Tips / Causes Childhood Obesity And How To Overcome It. How to overcome childhood obesity? Be aware or not, the risk of obesity in children becomes higher with increased access to fast food and junk food. Not only the factor of food, there are other factors that can make children suffer from obesity and risk causing health problems. Parents, know the facts and causes of obesity in children here. Obesity in children occurs when their weight exceeds their normal weight by height. This condition is dangerous because it makes them at high risk of chronic illness and experiencing stress. Parents should remember that obesity is different from just being overweight. Determination of the diagnosis of obese children needs to be done very carefully. The doctor will measure the child's weight and height, as well as calculate the Body Mass Index (BMI) of the child. This result will be compared to the standard / normal value. The Trigger Factors of Obesity. Lifestyle. An unhealthy diet with excessive calories and not accompanied by active moves. Eating foods rich in saturated fat and sugar (such as ice, chocolate, candy), fast food or fast food, and soft drinks are thought to be the main causes of obesity. 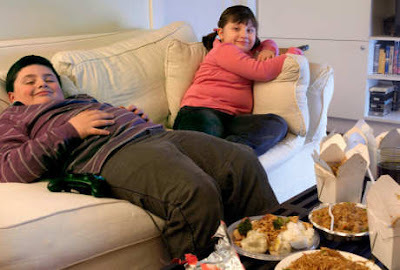 A diet that is accompanied by the habit of sitting too long in front of the TV or in front of computer screens is a major cause of obesity among the younger generation. Genetic factors. Although not absolute, children with family members or parents who suffer from obesity are more at risk of obesity. 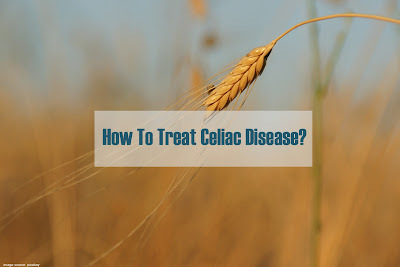 In addition to treating, can also be caused by the diet and lifestyle of children who are similar to. Psychological factors. Obesity is sometimes experienced by children or adolescents who make food as an escape from frustration or psychological stress on school lessons, boredom, problems, and other emotional forms. In addition to the factors above, the practice of infant and child feeding that is not considered or still traditional, with a choice of foods that contain little good nutrition, is also a factor other contributors. Not only on health, obesity can have an impact on the child's life as a whole. High blood pressure and high cholesterol. Both are at risk of causing plaque that causes narrowing of arteries in children so it can trigger stroke and heart attack later in life. Type 2 diabetes. A less mobile lifestyle, coupled with obesity, can lead to the risk of type 2 diabetes affecting glucose metabolism in the Little Body. Respiratory illness. The child's excessive body weights can cause the child's breathing channel to narrow, swell, and make it difficult to breathe so that the risk of suffering from respiratory diseases such as asthma. Sleep disorder. As a result of obesity, the child's breathing may become abnormal, such as snoring during sleep. The quality of the child's rest or sleep may decrease due to respiratory disturbance. This can lead to decreased learning achievement in school because the child is difficult to concentrate in the classroom and often sleepy during the day. Non-Alcoholic Fatty Liver Disease (NAFLD). Obesity can cause fat accumulation that harms the liver. Disorders of the bones that support excess body weight. Disorder of behavior. Obese children tend to be more difficult to socialize and more easily worry about other people's opinions about their weight. Not confident. Body with excessive weight often makes a person becomes not confident in the association. Depression. Discomfort and confidence make the child vulnerable to depression. Write a complaint, behavior, activity, and habits of the child that can cause obesity. Record any food group consumed by the child in a week or food that he often consumes. Bring also records of medicines or vitamins commonly consumed. It is also possible that physicians will inquire about daily family activities and diets, as well as family history of obese people. Measurements based on your child's BMI will be compared against other children's BMI with the same gender, age, and height. In addition to measuring the child's BMI, the doctor will examine the diet, the child's activity level, family history of obesity, and other child health problems. Examination of blood sugar, cholesterol, hormone balance, vitamin D levels, and other obesity-related examinations can also be done. Note that this blood test generally requires the child to fast for the previous 8-12 hours. Speak from heart to heart. Make sure the child knows that the process of regulating lifestyle for weight loss will be the process that he will be living with you. This is for the better and the long-term goal of a healthier. Encourage the child to open also about issues that are not related to food, but potentially to be the cause of obesity. Always give praise and show support each time seeing the small efforts and successes achieved by the child. As a parent, you play an important role in determining what and how children eat their food. Strive to replace as many packaged foods as possible with fresh fruits and vegetables. Limit the frequency of eating out, especially in fast food restaurants that offer high-sugar and cholesterol foods. By cooking your own food, you can better control the content of cholesterol and calories in foods consumed by children. Prioritize the cuisine by steaming or boiling compared to frying. Avoid giving food as a gift, or limiting food penalties. Make your meal with your family a fun and focused activity. Eating while watching TV can make children lose control over what and how they eat food. It is better to change a healthy diet in the long run than to immediately limit all high-calorie foods. Drastic dietary changes are not likely to last long. For parents, be a role model for Children to live healthy so that they can follow your healthy behavior and lifestyle. Physical activity should not always be a strenuous exercise. It would be easier to suggest his favorite physical activity, such as jumping rope, cycling or hobbies and other sports that he loves. Limit your child's time to watching TV or sitting playing games on your smartphone, tablet or computer, to no more than an hour each day for pre-school age children. For an older child, remind him to take a break on the sidelines of time where he has to sit down to study or do a task in front of the computer with a short workout. He can play basketball or soccer before going back to study. Make a healthy lifestyle as a habit in the family. Schedule swimming together every two weeks, picnics in the park, and cook healthy meals together. Give examples by practicing a healthy lifestyle personally, for example by not smoking, choosing healthy foods, and exercising regularly. Periodically check with your doctor to undergo IMT calculations to detect the risk of obesity, especially if your child is seen to be overweight. Remind the child that you love him unconditionally, no matter what body shape or anything other people say about it. This will make the child feel welcome and encourage him to be open about all the problems he faces and potentially triggering obesity. Overcoming obesity in Children is very dependent on the role and pattern of parent care in life. To foster motivation and encourage children to live healthy, should be started from the healthy life behavior of parents. The obese child does look cute and adorable, but it can be dangerous if these conditions cause later disease because obesity is not treated as early as possible. 12-18 years: 8.5 hours per day. 5-12 years: 10 to 11 hours per day. 3-5 years: 11 to 13 hours per day. 1-3 years: 12 to 14 hours per day. Childhood obesity is a serious medical condition that can affect childhood and growth. This condition can also encourage children to experience health problems in the future. Be sure to consult a doctor if your child needs special attention regarding weight. The role of parents is very important in helping children in overcoming obesity.